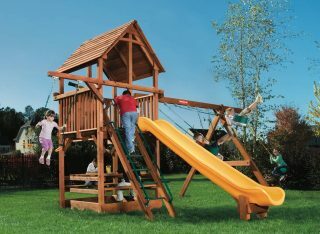 All Outback Series playsets are made with larger lumber throughout the ENTIRE playset compared to similar looking playsets. 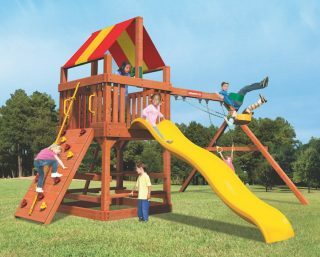 The Outback deck is supported with 4″x6″ beams and notched angle braces, so even dads can join in on the fun! 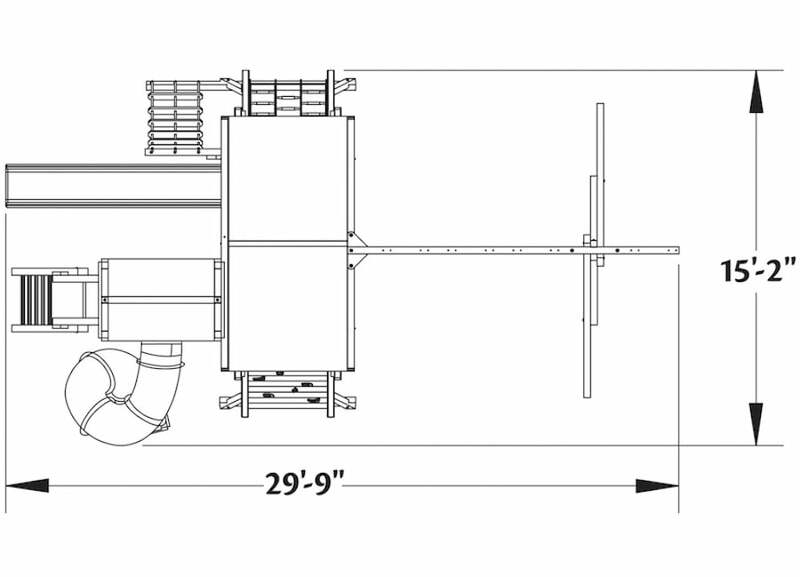 We do offer professional installation on the Outback 7′ (OB.7B), so please call us for more information. 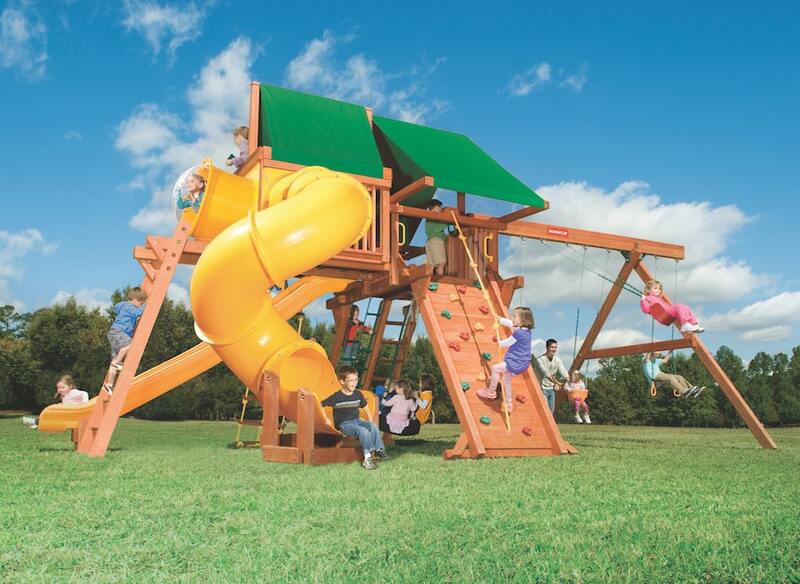 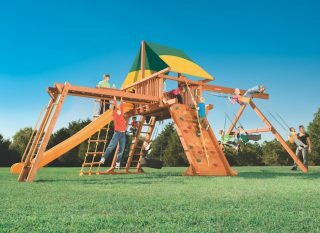 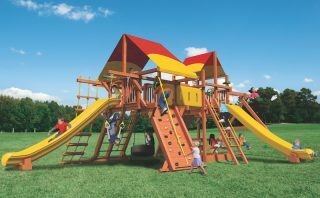 The Woodplay Playsets Outback (OB.7B) includes EITHER a Limited Lifetime (Redwood, lumber only), 15-Year (lumber only), and a 5-Year warranty.